There is an interesting story behind this picture. It is one of more than 400 I took while standing in this spot for 4 hours. I decided to set out on an adventure, and my original plan was to check out a trail I had never been on just west of Wilkerson Pass in South Park. There was too much snow on the road when I got there, so I decided to form a plan B and head through South Park to Buena Vista. On the way there, I could see a storm front moving in, and it was very windy. I stopped in Hartsel and talked to a state trooper who told me that it was snowing really hard in Buena Vista, so I formed a plan C, which was to head down Highway 9 to Westcliffe. 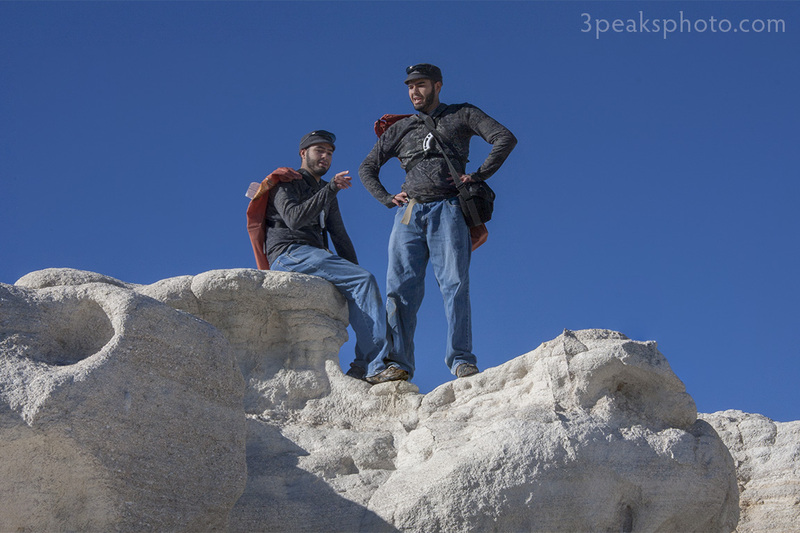 When I got there, the wind was howling and there was a line of clouds hovering over the entire spine of the Sangre de Cristo Mountains. 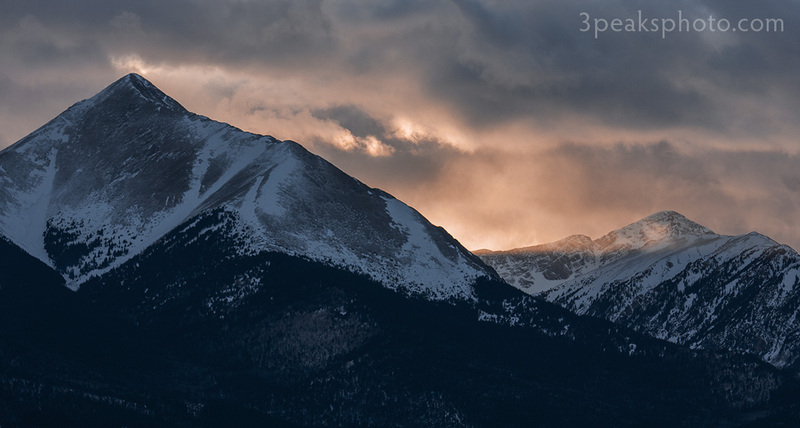 I stood in awe as I watched the snow blow off the peaks and the light change by the second. I was so amazed that I took picture after picture, each one a little different than the one before. I had to stand on the downwind side of my truck to try to keep my camera steady as the wind whistled through the overhead power lines, creating a constant hum. I was seemingly guided to this location by the events of the day and was treated to a nice sunset as my reward. I made basic adjustments and increased sharpness in Adobe Camera Raw. I used the HSL tool to bring out the oranges and the yellows. In Photoshop I applied a hue/saturation adjustment layerto tone down the blues. I also added a curves adjustment layer and cropped. Who has two thumbs and is excited about hockey season now that baseball season is over? Me! 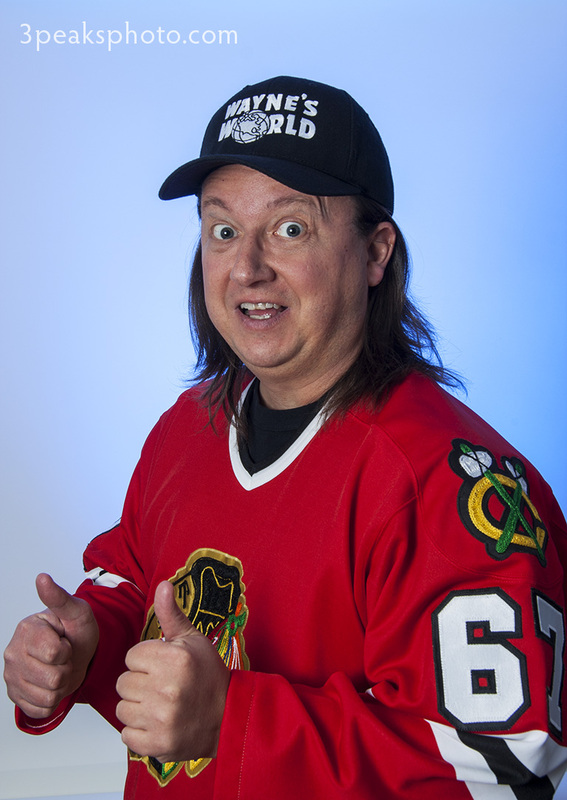 Someone told me I looked like Wayne Campbell, so I had to buy the hat to go with my jersey. I also made an Alice Cooper backstage pass and dressed as Wayne for Halloween a couple of times. I made basic adjustments in Adobe Camera Raw. I added a curves adjustment layer in Photoshop. That is One Good Cupcake! Each year the Salvation Army provides hundreds of free meals to people in our community on Christmas Day. 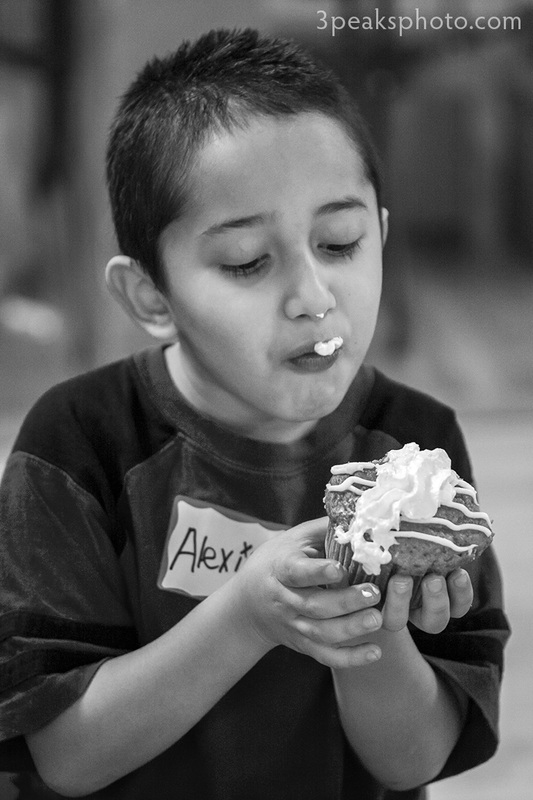 I volunteer to photograph the festivities in Manitou Springs where I captured this young man making the most out of a delicious cupcake. I made basic adjustments and reduced noise in Adobe Camera Raw. In Photoshop I added black & white and curves adjustment layers. I made basic adjustments in Adobe Camera Raw. I had to adjust the exposures since they were 2 stops apart to make them match. From Bridge, I selected the two files and chose to open them in Photoshop as separate layers from the Tools menu. Wtih both layers selected in the layers panel, I aligned them (Edit — Auto-Align Layers) and then blended them (Edit — Auto-Blend Layers) using the stacking option. I merged the layers, used the dodge tool to lighten up his faces, removed some spots in the sky with the Spot Healing Brush, and cropped. 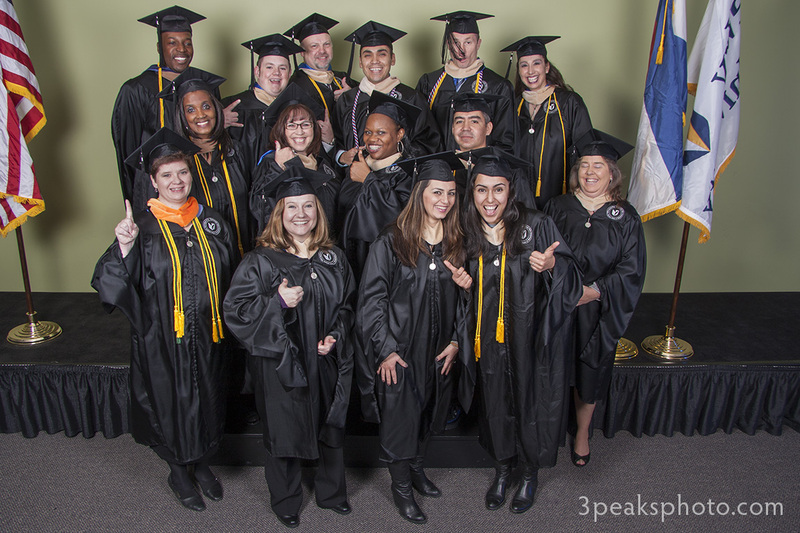 I’ve been photographing the DeVry graduation ceremonies for a few years. They used to have me take group shots of all of the classes. I would first take the serious shots then tell the grads they could do whatever they wanted for the last picture. This is one of the results. I made basic adjustments in Adobe Camera Raw and used the burn tool in Photoshop to bring the highlights down on some of the faces. 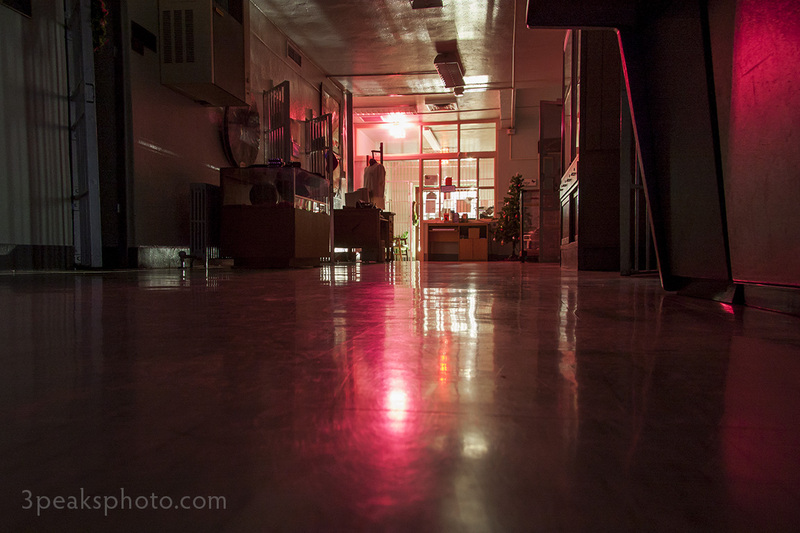 This photo was taken during a paranormal investigation at the prison museum in Canon City, Colorado. It was very near this spot that I heard keys jingle on an earlier visit when no one else but me was on this floor of the building. I became a believer in the flashlight game this night. If you’re unfamiliar with the flashlight game, I’ll explain. You take a mini-mag light and twist the cap until the light turns off. Then you set it down and start asking yes or no questions. If the light turns on, that’s an indication of a positive response to your query. I had always been skeptical that a flashlight could be used to communicate with spirits, but I had purchased a new mini-mag light just days before this investigation, and after inspecting it said to myself that if it went off I would be convinced that something unexplainable was going on. While we performed EVP sessions my flashlight went off like crazy all evening, and it was the only one that did. I made basic adjustments, lens corrections and noise reductions in Adobe Camera Raw. In Photoshop I added a curves adjustment layer. I do believe this is the only photo I have of Kiki that’s in focus. 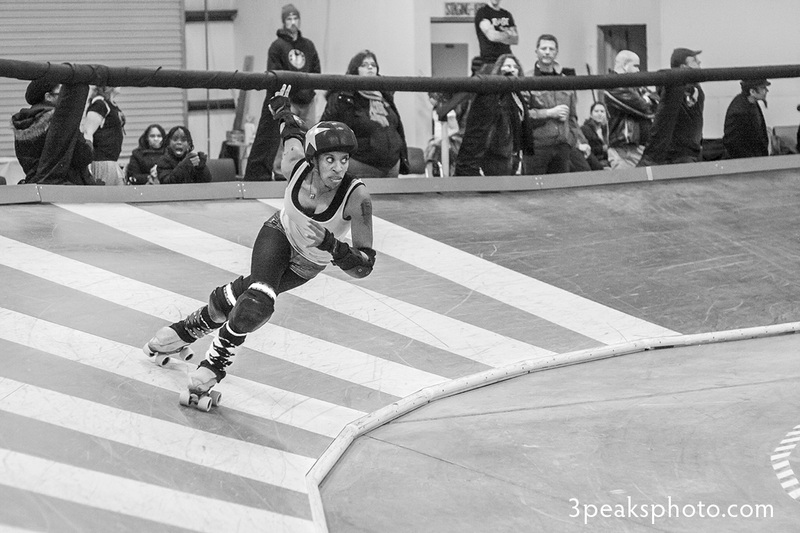 She skates so fast that my camera can’t keep up with her. I have a lot of shots of her that are just a blur. 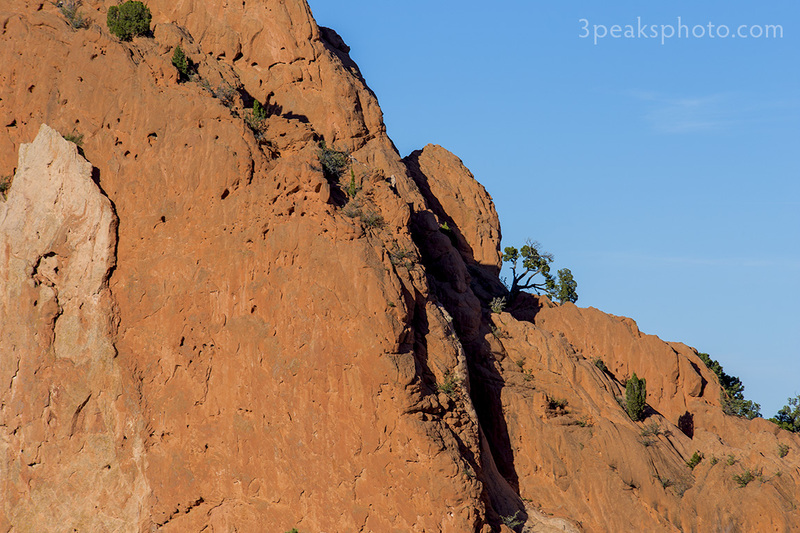 This shot was taken in Garden of the Gods a few days ago. I was drawn to the trees growing out of the rock. I made basic adjustments in Adobe Camera Raw and added an exposure adjustment layer in Photoshop. These have to be some of the last golden aspen leaves in the high country. 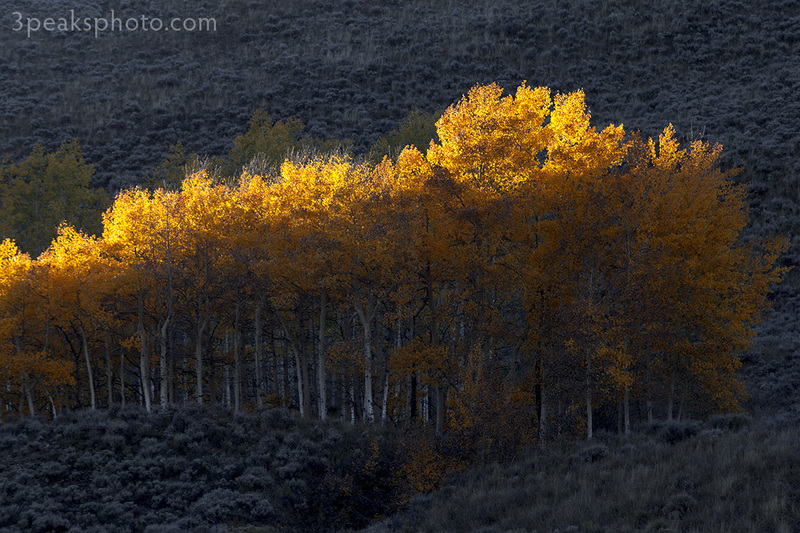 This shot was taken on Marshall Pass Road earlier in the week just as the sun was going down. I made basic adjustments and used the HSL tool to remove some of the blue cast in the shadow areas with Adobe Camera Raw. In Photoshop I added curves and exposure adjustment layers. I also added a selective color adjustment layer to correct the color of the leaves. Other than the obvious color differences due to using different post-processing tools, can you see any other variances between these two panoramas? The top one was posted a few days ago and was made by stitching together 5 horizontal frames taken with the camera on a tripod. The bottom one consists of 17 hand-held, vertical shots. My tripod head doesn’t allow me to pan vertical shots around the nodal point, so I decided to experiment with hand-holding the camera. I’ve been hearing lately that if you want to make a horizontal pano, you should shoot vertical frames because most of the optical distortion in the images will be on the top and bottom edges, which will probably end up getting cropped. What do you think? Do you have a preference? Top image: After merging the files in Photoshop’s Photomerge tool and cropping, I used the Camera Raw filter to make basic adjustments and manipulate the yellows, oranges and blues a bit. I added a curves adjustment layer and used the Spot Healing Brush to get rid of some spots in the sky. Bottom image: After merging the files in Photoshop’s Photomerge tool and cropping, I used the Camera Raw filter to make basic adjustments and manipulate the yellows and oranges a bit. I also added gradients at the top and bottom to reduce exposure a touch.